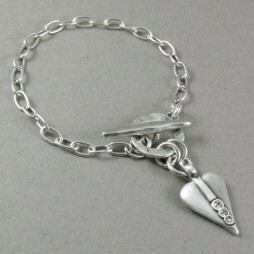 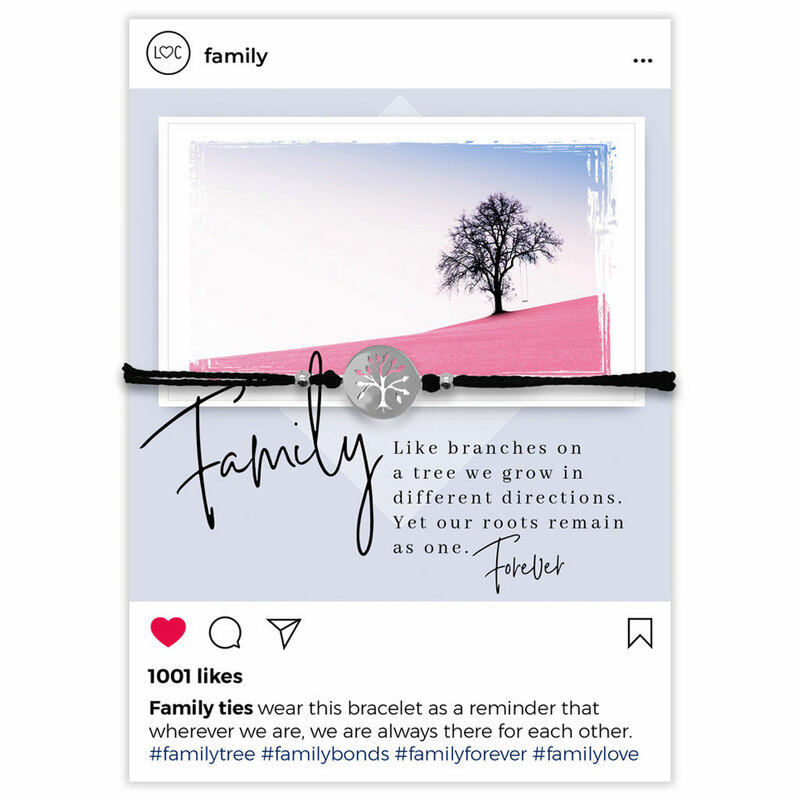 There’s no-one more special than family so, why not send loved ones this beautiful bracelet, finished with a silver circle family tree charm to treasure. 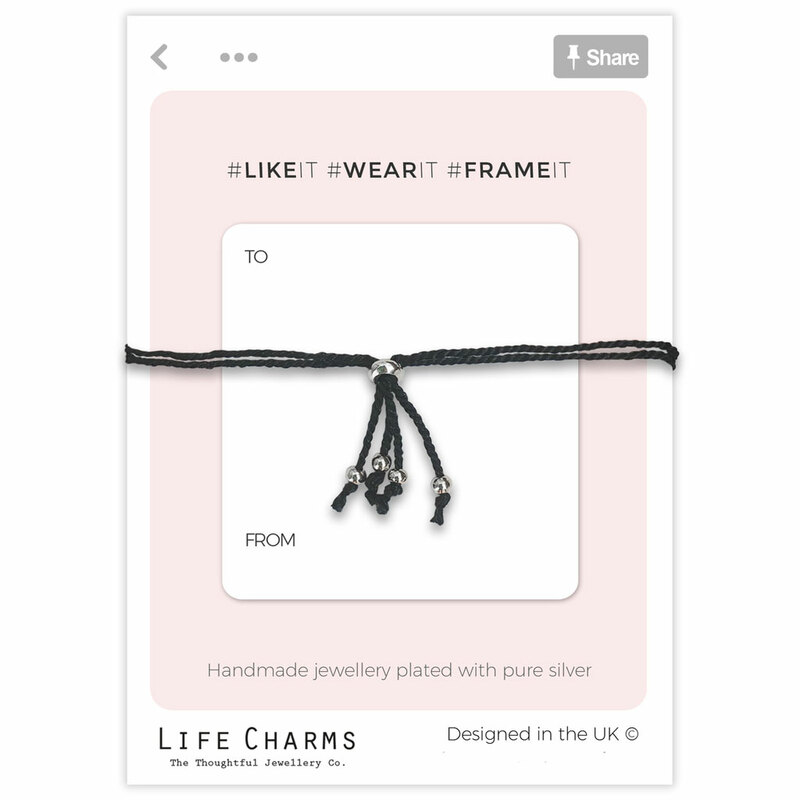 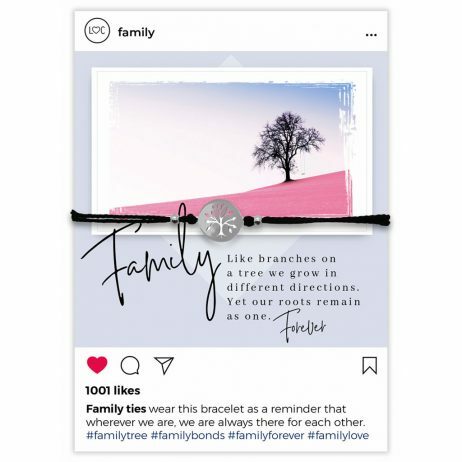 The bracelet in black, with an adjustable length fastening, comes on a fabulous Instagram inspired card with the thoughtful message “Family Like Branches On A Tree We Grow In Different Directions. 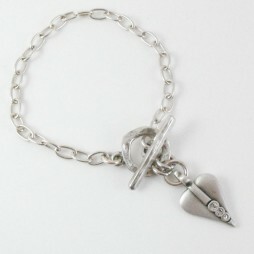 Yet Our Roots Remain The Same’ and is reversible for you to write your own personal message. 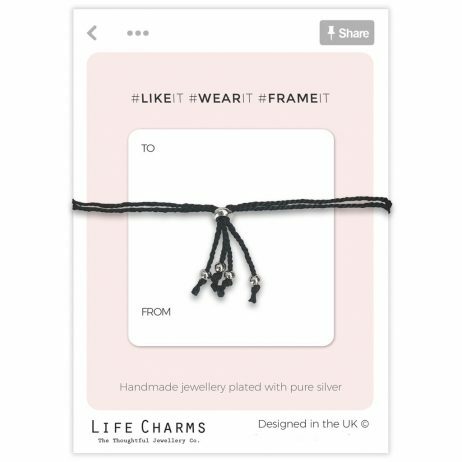 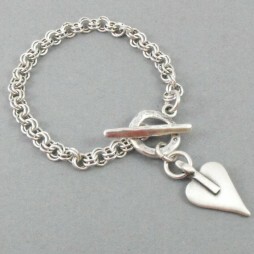 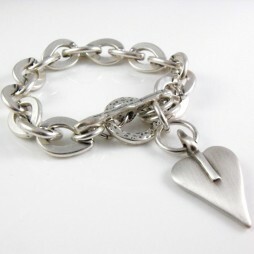 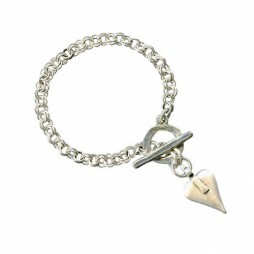 Birthday Gifts, Gifts By Occasion, Life Charms Jewellery, Thank You Gifts, Gift Ideas, Gifts £0 To £20, Jewellery, Bracelets, Charm Bracelets, New Arrivals.